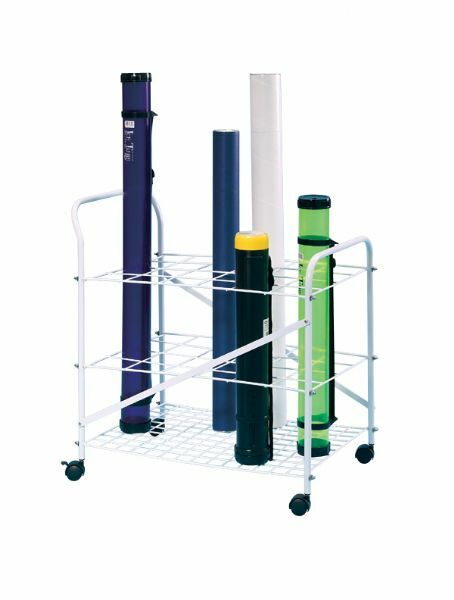 Heavy-duty storage bin contains twenty-four 35/8" x 4" openings and can accommodate up to a 3½" tube. * Overall dimensions: 28"h x 24½"w x 17"d.
The capacity is 24 slots. The size is 17"d x 24 1/2"w x 28"h.